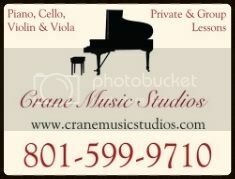 Piano ,Violin, Viola & Cello Lessons, Weddings, Parties, Accompanying, Coaching, Teaching Ideas and More!! 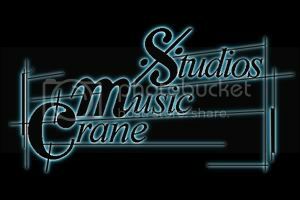 Welcome to Crane Music Studios! We've been providing lessons, accompanying, transcription services and live music for your Wedding Ceremony, Reception or Party since 1992. Now with availability in Utah Counties. David has been teaching piano, violin, viola and cello for over 20 years and playing for over 25 years. He has taught orchestra. He completed his music degree at the University of Utah. He specializes in teaching both children and adults of any ability level. These lessons are offered to children and adults of all ages, 5-99 and for all ability levels, beginning to advanced. Lessons focus on learning to enjoy music as well as good, relaxed playing techniques. Whether you are an aspiring professional or playing just for fun, we have something to offer. Both group and private instruction for all ages. Focus on having fun and developing both your solo and ensemble skills. Whether you are an aspiring professional or playing just for fun, we have something to offer. Add a touch of class to your special event by having live music. All programs are customizable to your tastes and desires. I provide a wide range of music from many different styles. Including: Pop, Easy Listening, New Age Piano, Classical, Broadway, Country and many more. You can choose the music I play or let me select a program that will appeal to all of your guests. 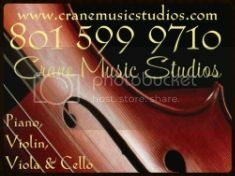 Crane Music Studios provides a wide range of musical services at reasonable rates with a high level of musicality and professionalism. I have accompanied almost every instrument including voice. 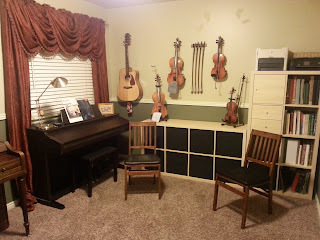 Whether you need accompanying or coaching services or a piece of music transcribed.